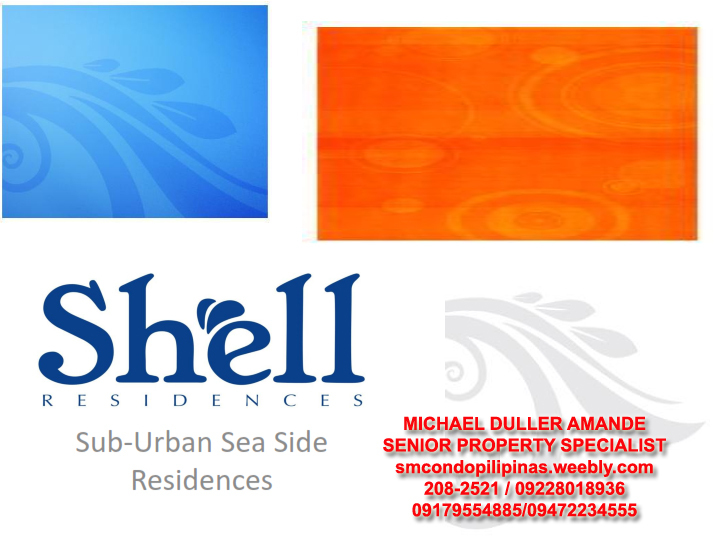 This January 2011, we have started the awareness campaign for the upcoming SMDC project along SM mall of Asia complex, the SHELL RESIDENCES, scheduled to formally launch it on the 1'st quarter 2011. it will be the second ( after Sea Residences ) grandest propect of SMDC at Sm mall of Asia complex. 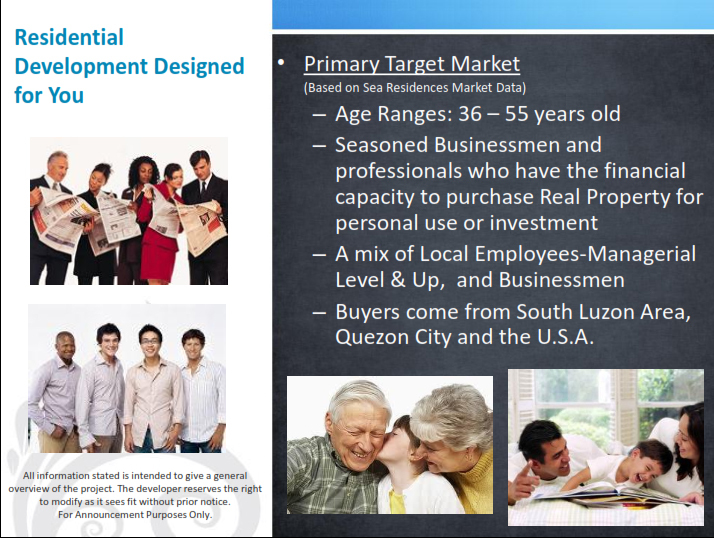 Great number of Filipinos desire to have homes within Sm mall of Asia area because almost everything that you need is so close to be reach. 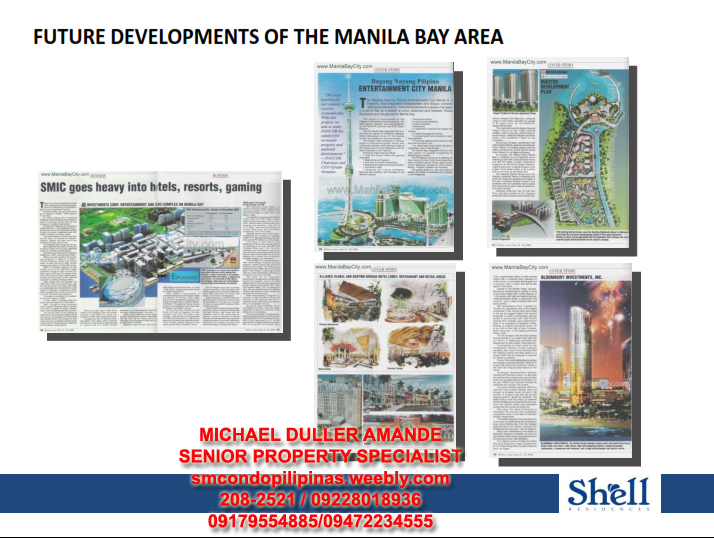 it has been a general Filipino mentality that investing or owning five star homes in metropolitan manila specially near a very prestigious university, mall and international recreational development ( the Nayon Filipino Pagcor City ) is far beyond possibilities especially for middle income employees / family. 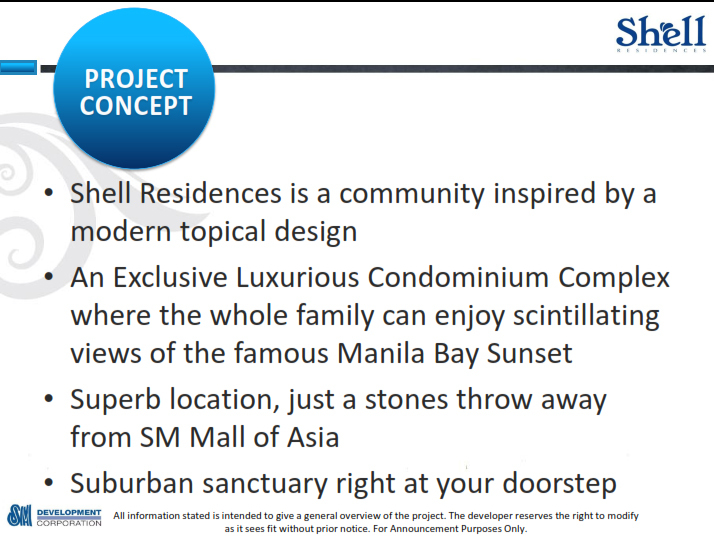 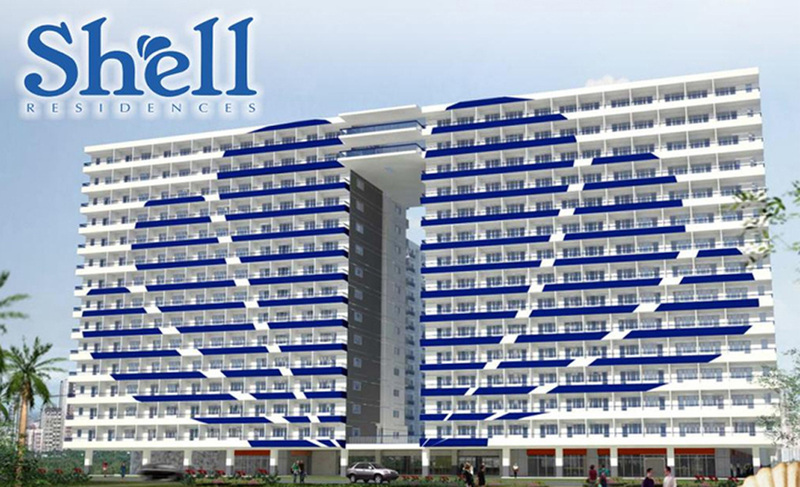 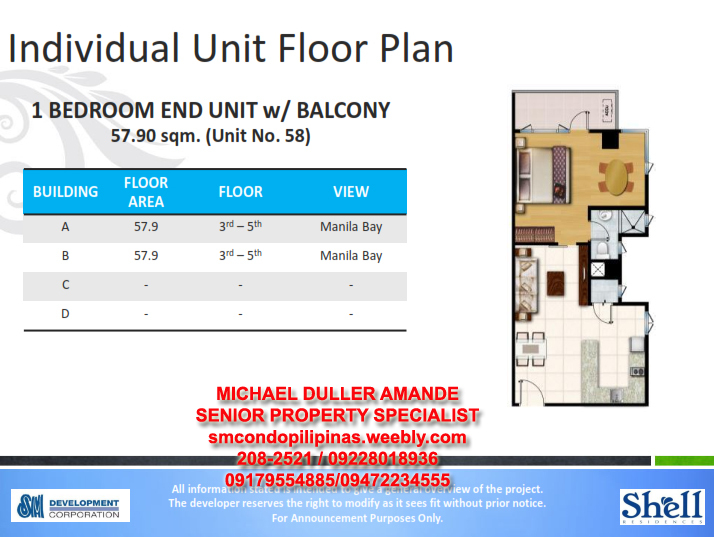 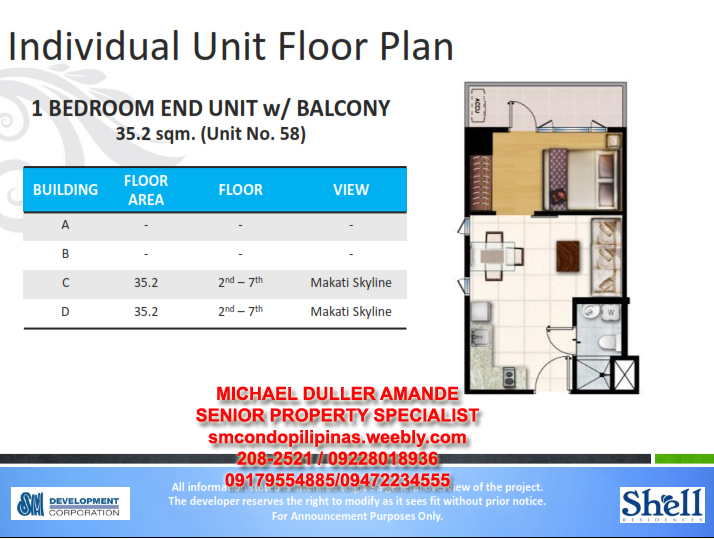 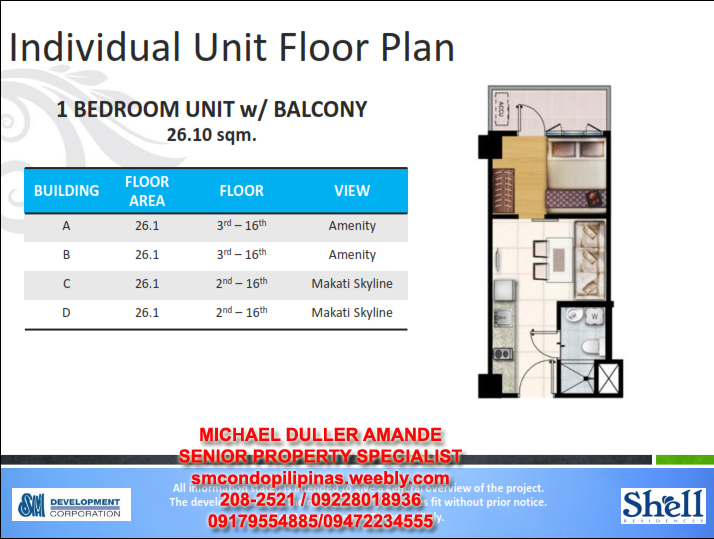 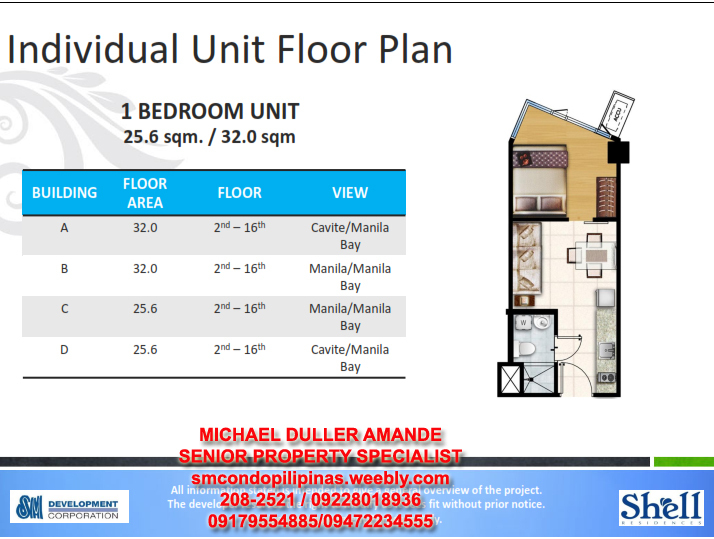 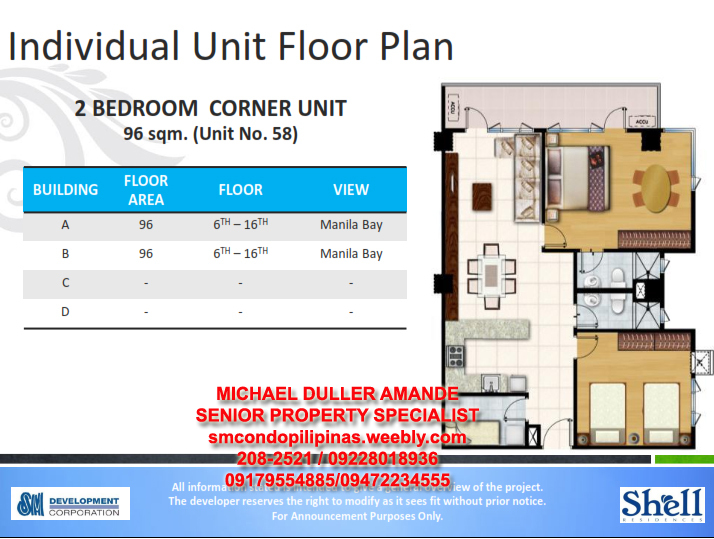 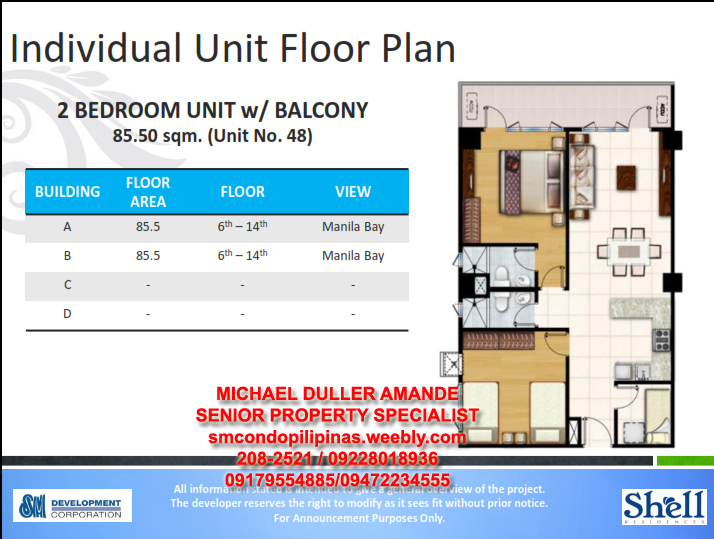 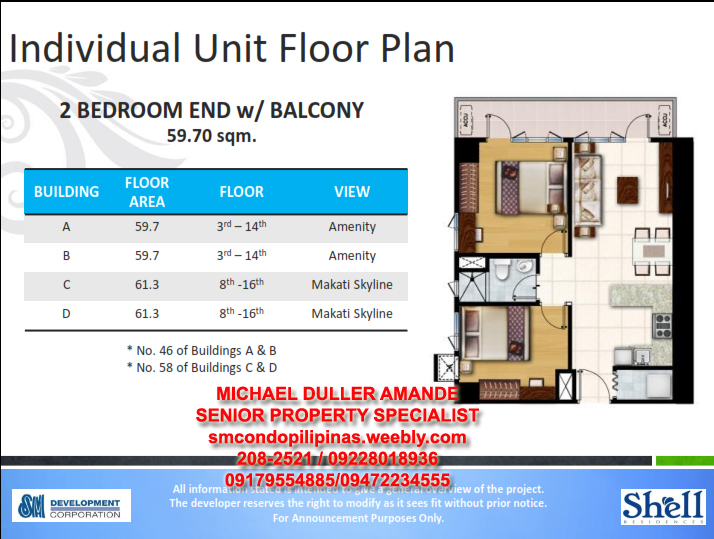 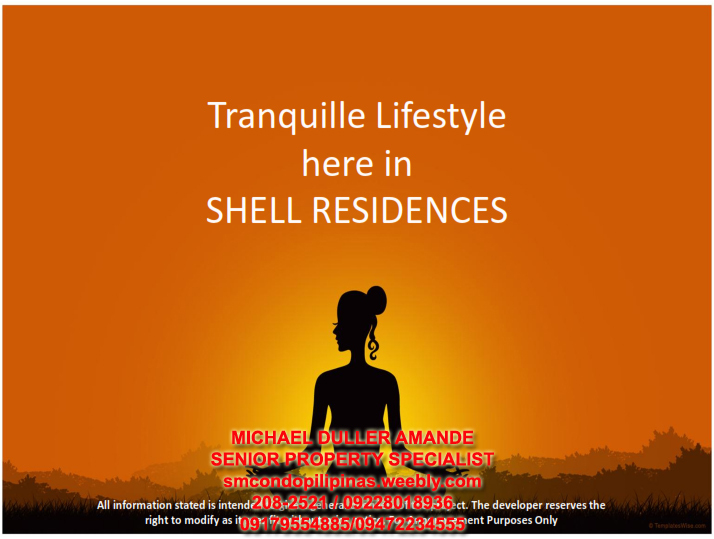 it is one of the reason why SMDC has come up with: SHELL RESIDENCES a community of SM Development Corporation located at mall of asia complex, compose of four (4) Mid rise 15 storey high towers. 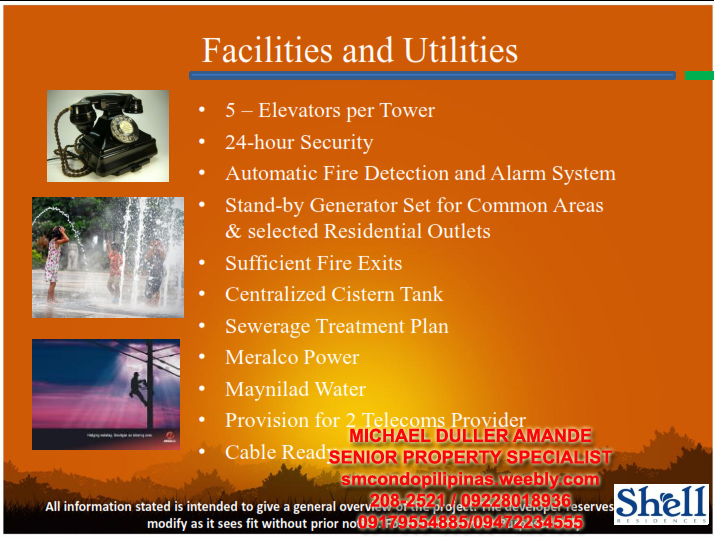 SM Development Corporation ( SMDC ) is a fast growing residential property developer of SM group of companies. 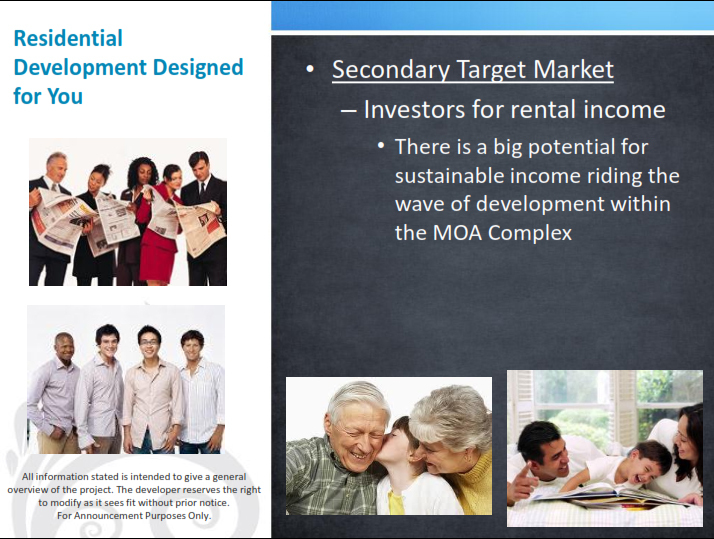 given its founder, Mr. Henry Sy Sr., now being the richest man in Asia. 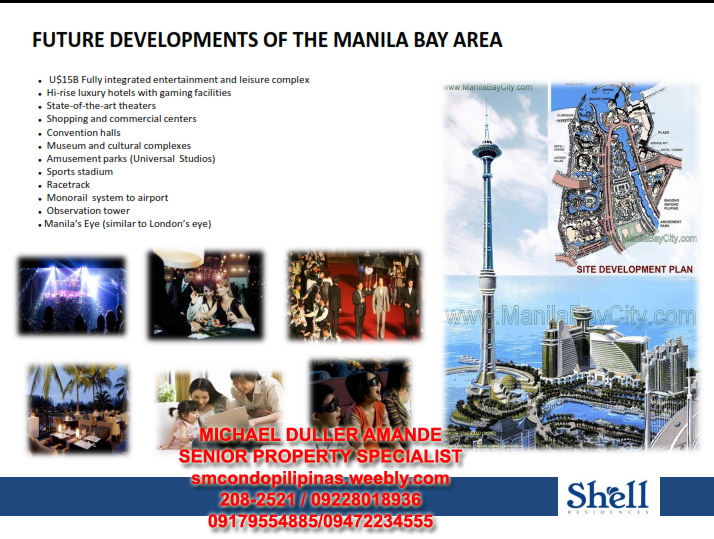 focused in the premium locations, each with distinct character and luxurious amenities. 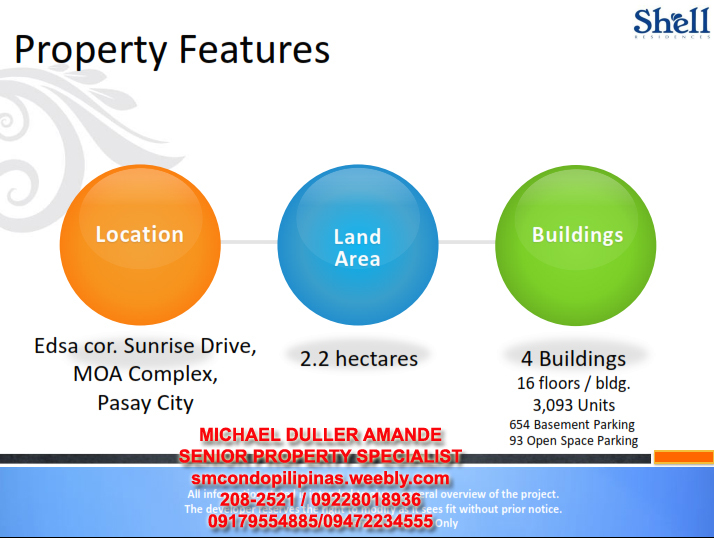 SMDC is projected to be the leading real estate developer in the Philippines in the Philippines by 2011.